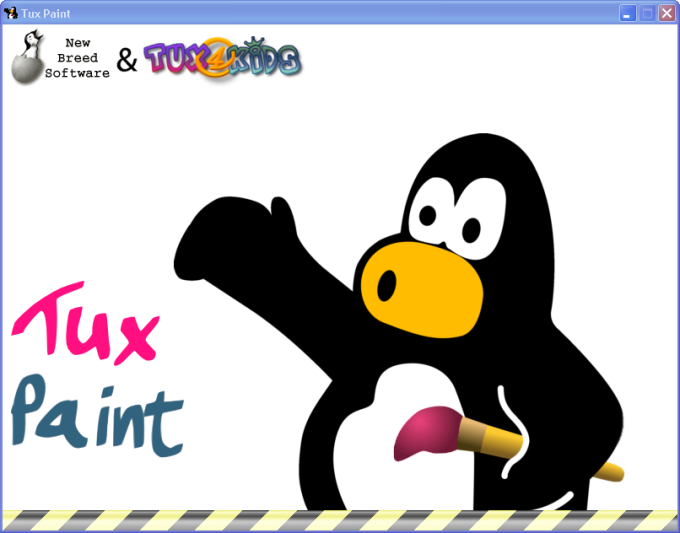 To make Tux Paint even more kid-appropriate, the configuration settings are displayed in a totally separate area that is not accessible through the drawing interface. 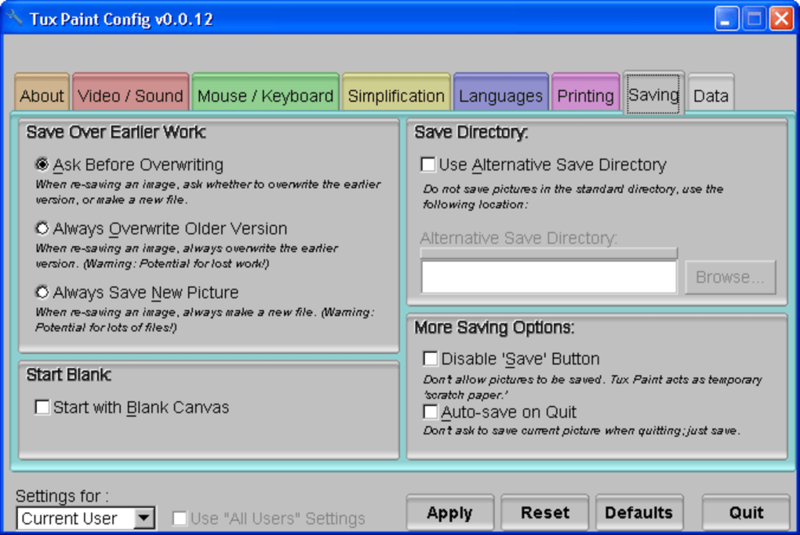 Here you'll be able to modify certain settings to make it suitable for everyone to use, including what shows up on Tux Paint's drawing interface, the language used and sound effects. 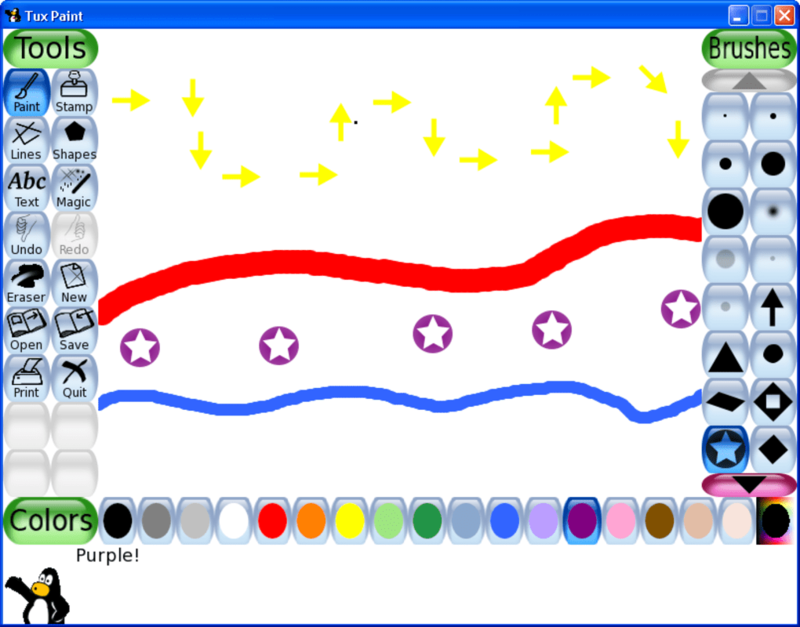 From a child's point of view, Tux Paint must be fantastic. 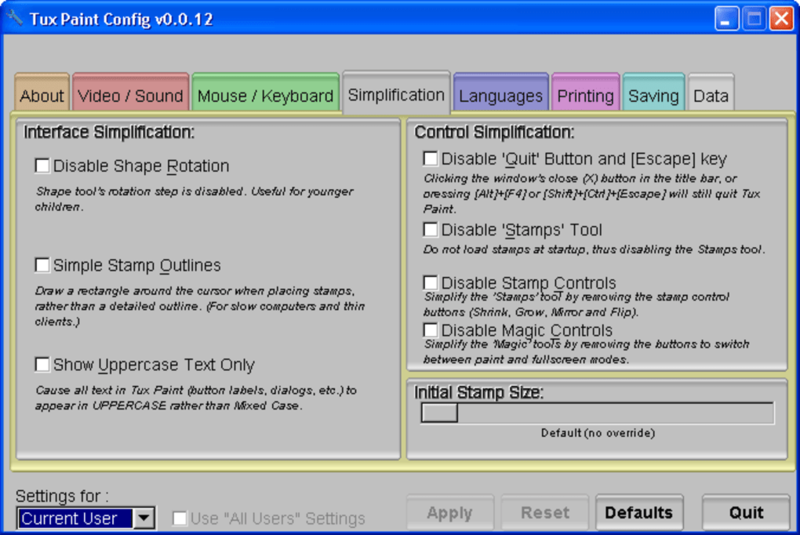 It has bunches of features - Tux Paint stamps, colors, magic designs and effects and a variety of brushes. 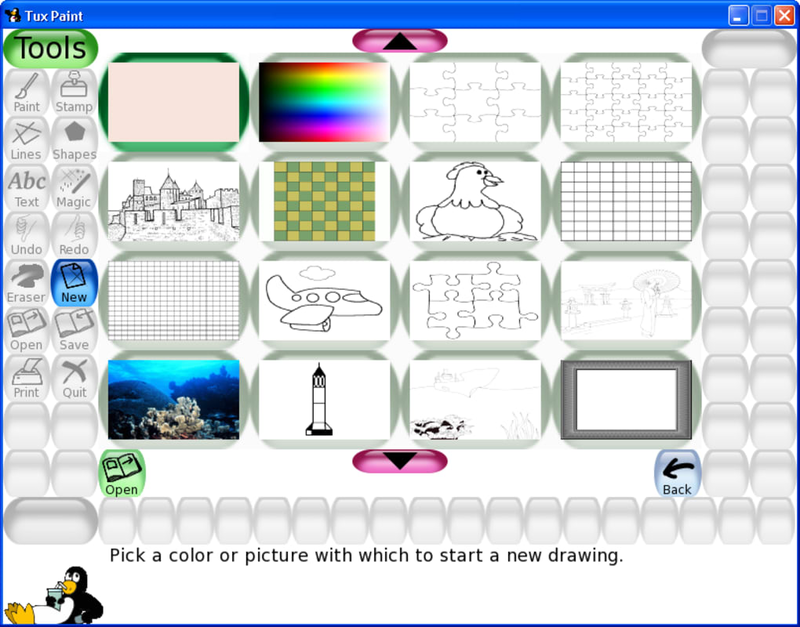 Some features only appear in the Brushes area after choosing an option from Tools, but with a bit of exploring your child will find them all. 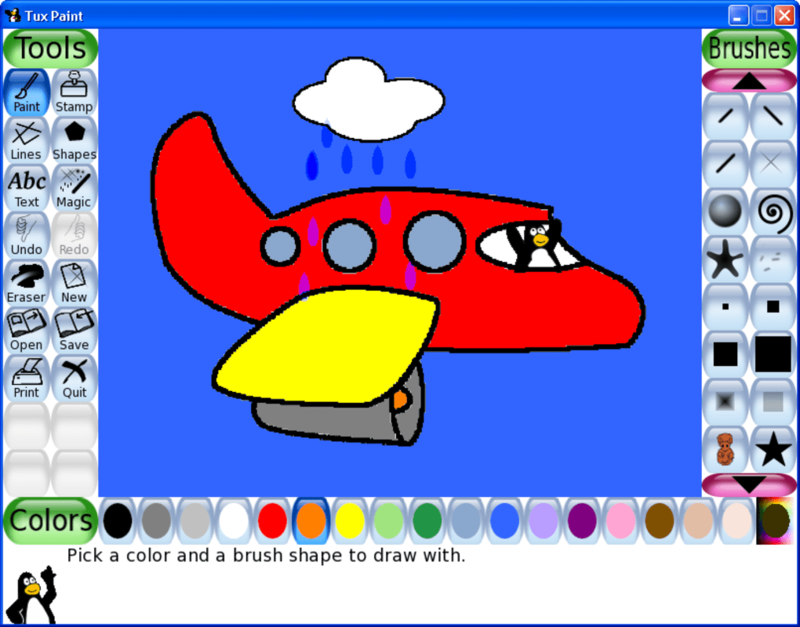 Tux Paint is a free drawing program designed for young children (kids ages 3 and up). 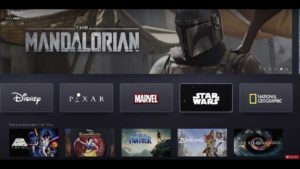 It has a simple, easy-to-use interface, fun sound effects, and an encouraging cartoon mascot who helps guide children as they use the program. Child friendly. 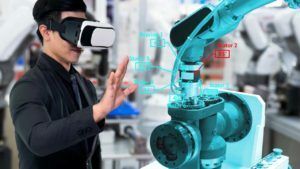 This is a great program for my kids to use. It lets them be creative and is easy for them to use. The fact that it was fee makes it even better.